A skin check involves the use of magnifying equipment to look at areas of concern. Your doctor will assess any suspicious lesions and discuss the next steps of management with you. During the check ideally all your skin is checked, every effort will be taken to ensure your privacy and comfort. You are welcome to bring a support person with you. With your consent, photos of individual lesions might be taken and stored in our secure computer system, this enables long-term follow up and allows comparison with future images. Following the skin check, if any lesions of concern are identified, your doctor will discuss an individual treatment plan with you and guide you through the treatment. Some early skin cancers can be treated with medicated creams. 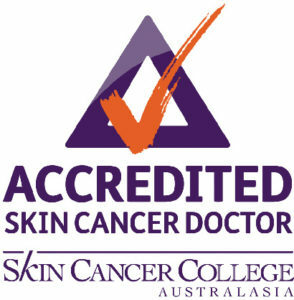 Removal of skin cancers is done under local anaesthetic. A procedure is chosen to suit the anatomical area of the lesion. Great care is taken to achieve the best possible cosmetic results while making sure the cancer is removed completely. Unfortunately New Zealand has one of the highest rates of skin cancers in the world. As part of preventive skin health care, regular and effective sunscreen is recommended. A wide range of sunscreen products can be purchased at our reception desk. Jo, our friendly practice manager, will be happy to assist you to choose the best products for your needs.